Mindel Trench British Cemetery, Saint-Laurent-Blangy, France. George was born c.1886 in Clondra, and was the son of a tailor. By the age of 15 he was working as a 'rural postman' according to the 1901 census. George appears to have entered the army prior to the Great War, and according to his brother John's attestment, George was serving in Tower Hill, Sierra Leone c.1914. 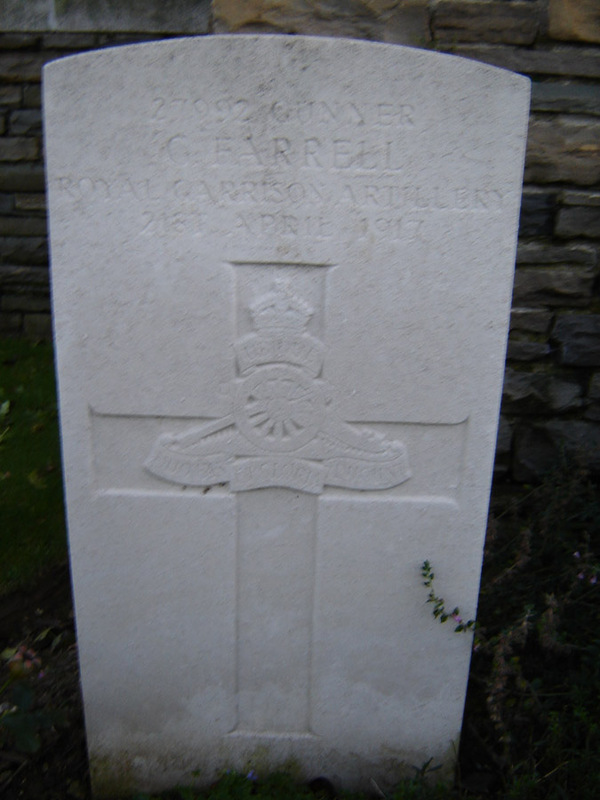 Two of George's brothers John and Robert Farrell also served in the war, although Robert died in October 1918.